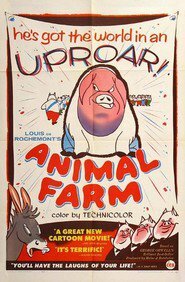 Overview... a chatty pig who works closely with Napoleon, the de facto leader of Animal Farm. Squealer spreads news far and wide, both orally and in writing. Much of what he says is obviously propaganda, but most of the working-class animals aren’t sharp enough to see through his rhetoric. Personality… conniving, opportunistic, and gluttonous. Squealer basically shows up on political scene long after the revolution has happened. He’s not a fighter, he's a talker – and if anyone can convince the worker animals to go along with Napoleon's schemes, it's Squealer. Squealer's popularity ranking on CharacTour is #3552 out of 5,000+ characters. See our top-ranked characters and read their profiles.